MANILA, Philippines — Philippine President Rodrigo Duterte has reimposed an indefinite cease-fire after communist guerrillas declared their own truce as both sides set the stage for a resumption of talks aimed at ending one of Asia's longest-running rebellions. Government peace talks adviser Jesus Dureza said Saturday that the unilateral cease-fire reimposed by Duterte will take effect Sunday simultaneous with the start of the rebels' weeklong cease-fire. The gestures usher in four days of talks in the Norwegian capital of Oslo starting Monday that will focus on resolving the root problems of an insurgency that has left more than 150,000 combatants and civilians dead and undermined the Philippines' economic development. "The duration of the cease-fire will last for as long as necessary to bring peace in the land and also in order to provide an enabling environment for the success of the peace negotiations," Dureza said at a news conference at Manila's Ninoy Aquino International Airport before he and the government's negotiating team flew to Oslo for the talks. The military said it backs Duterte's move and expressed hopes that the rebels will match his move with the same sincerity. 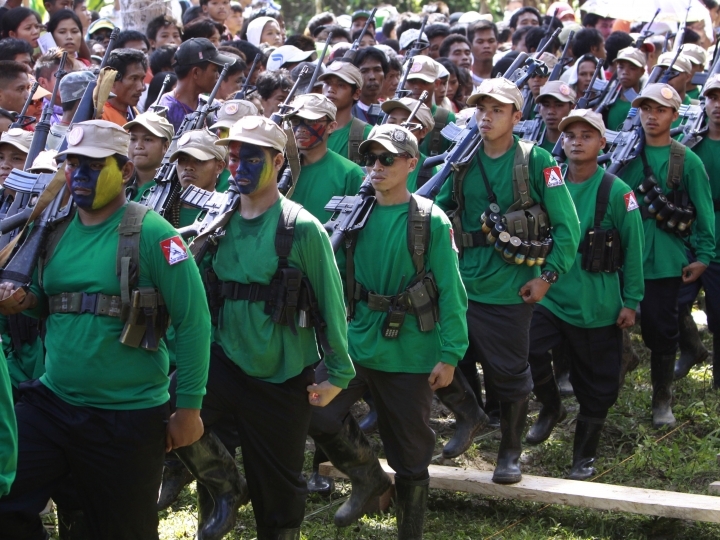 After being sworn into office on June 30, Duterte has reached out to the Maoist guerrillas by talking to rebel leaders, designating left-wing activists to two key Cabinet posts and agreeing to free captured rebel leaders. The growing rapport, however, was short-lived. Duterte declared a cease-fire on July 25, but withdrew it five days later after the guerrillas killed a government militiaman in a clash and failed to immediately declare their own truce by a deadline set by the tough-talking president. While he became more critical of the rebels, whom he said survive through extortion, Duterte pursued peace negotiations to stop the decades-long bloodshed. Under Duterte's predecessor, Benigno Aquino III, peace talks stalled over the government's refusal to heed a rebel demand for the release of some captured guerrillas. Duterte, however, has shown more flexibility by agreeing to the release of 22 rebels, who would serve as consultants in the talks. As he gave concessions to the Maoist guerrillas, Duterte started to visit military camps across the country to explain his peace overtures to army forces at the forefront of the counterinsurgency war.